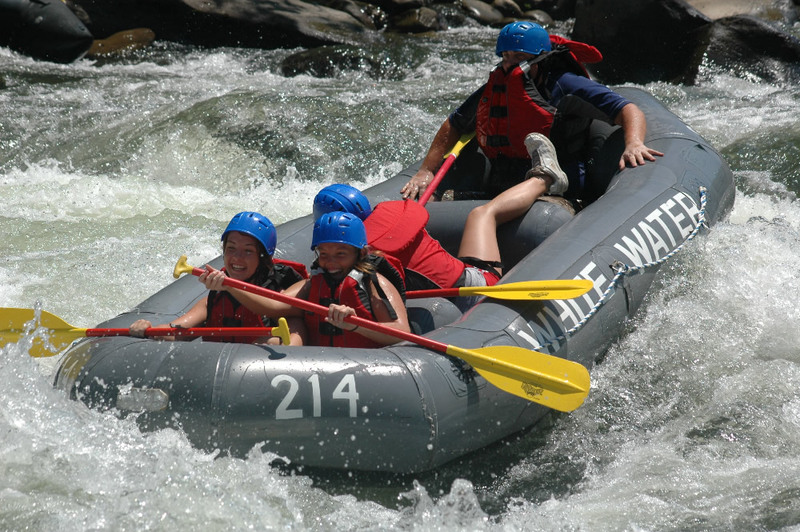 In the summer of 2008, Don and I took Kimber and two of her chums to Ohiopyle for whitewater rafting. 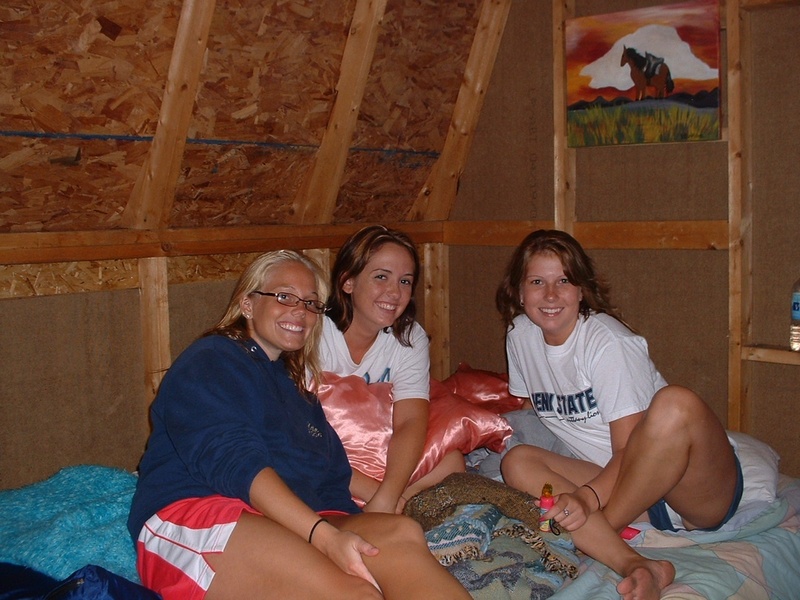 On the previous trip, we had slept in a tent, but this time we rented a hoity-toity "barn" in the campground. 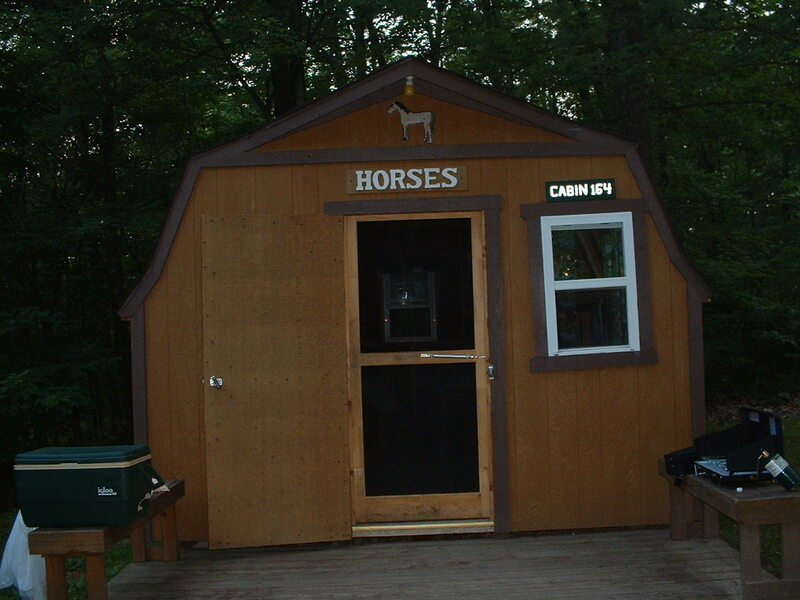 After the four-hour drive, we rolled up to our accommodations - a shed labeled "Horses" - which caused us to laugh uproariously. Next door was an identical structure marked "Pigs" with a family that concerned us a bit. The father was shirtless and drinking an endless can of beer, the mother sported a mullet, and their pickup truck flew a confederate flag. They had two sons, about the same age as our pretty college girls, and I knew these boys' dreams had just come true. As Don and I unpacked and set up camp, the girls took a walk around the campground, checking out the mini-golf, the store, rec room, and pool. By the time they got back, as I expected, the neighbor boys had made their acquaintance. The girls claimed zero interest, and I recommended being polite but cautious. Meantime, I was avoiding the pig-barn family as best I could, giving just a friendly smile and a nod as I passed by to use the latrine. I was afraid they might not care for Yankees or lefties and were likely armed. Don is much less judgmental, and claims he was not concerned at all. Kimber and Kate in front, Brit backwards in the middle, Don holding on for dear life in back. On the second evening, after a great day of rafting, we were sitting down for supper when the neighbors walked over and graciously offered us corn-on-the-cob. We all felt guilty for snubbing them before and vowed to be friendlier. But I couldn't help feeling the parents were laying a snare for the girls. Later that evening we accepted an invitation to the pig barn to play Guitar Hero, which was for Don and I like sampling crack cocaine. To reciprocate, the girls invited the guys to our place for cards and word games. The boys seemed nice enough, though not real bright. The whole situation had me on edge. When you're responsible for three beautiful girls, you have to guard your perimeter at all times. I was already sizing up our defenses on the outside chance they would try to kidnap the girls and make them their mountain women. Don is a pacifist, so he could only try to reason with them. I, on the other hand, could turn into a ninja warrior if my daughter were in danger, and Kimber and her friends seemed tough enough to take Mike Tyson. Kate, Kimber, and Brit in the horse barn. We turned in for the night and locked the door of the horse barn. The next day it was time to pack up, but I was having a hard time rousing the girls. Then I saw it! Somebody had shoved a note under the door. 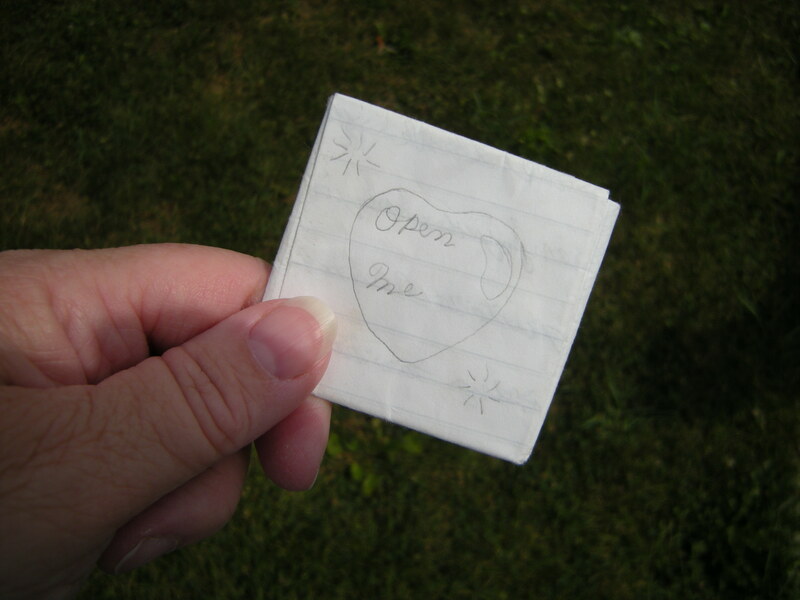 It was folded into a little square, the way a fourth grader folds a love note. The outside was decorated with a heart and the words "Open Me." The artwork is beautiful, but the writing very childlike. ...Kate was shrieking, I was shushing, and all three had shot out of bed and were throwing belongings in bags. Silently we bugged out of there like a military MASH unit! All eyes were straight ahead as we loaded the car, not wanting to risk eye contact with anyone next door. I felt sick for the boys in their innocent, awkward advances, but I was quite relieved to be out of there and headed back to civilization. 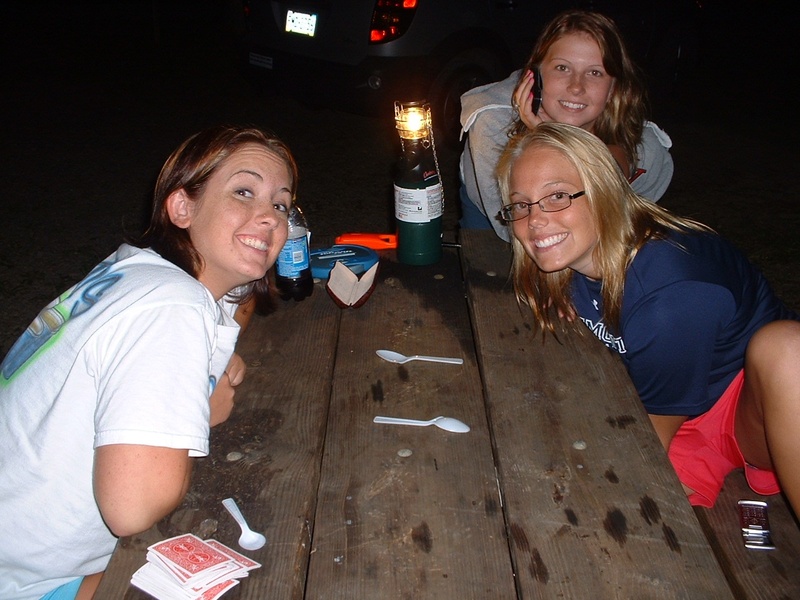 As you can see, I've kept the note to this day, and we often recount the adventure.